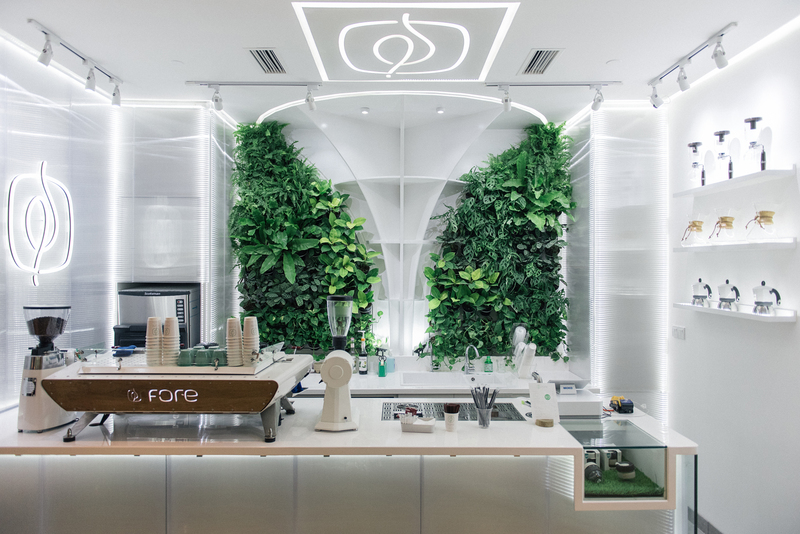 JAKARTA, 31 JANUARY 2019 - Fore Coffee, an on-demand specialty coffee startup, earlier today announced that it has secured US$8.5 million funding from syndication of East Ventures, SMDV, Pavilion Capital, Agaeti Venture Capital, Insignia Ventures Partners, and some angel investors. The fresh fund will be used to accelerate more innovation to provide high-quality and seamless online-to-offline customer experience - good coffee, easy to find, fast service, and friendly prices. They will also invest in high technology machine to get the best quality of coffee and develop new products. As of today, Indonesia is the second largest land plantation for coffee in the world, just behind Brazil. However, Indonesia has one of the lowest coffee productivity index, as it is only able to produce 520 kg/HA lower if compared to Vietnam with 2,445 kg/HA. As a result of having huge plantation but low productivity, Indonesia is still positioned at #4 coffee exporter among “The Bean Belt” countries. Indonesia can do better. Fortunately, the rapid growth of middle-class society in the country today has given birth to a new phenomenon, namely the rise of coffee drinkers in the domestic market. In the past year, Indonesian coffee consumption has reached 314,400 tons with an average growth of 8.22% per year. As for fresh coffee, it has a special market value reaching US$ 1.5 billion in 2017 only. Fore Coffee was born with the mission to revitalize Indonesia coffee glory, especially Arabica beans for specialty coffee. This startup is founded by Robin Boe, Jhoni Kusno, and Elisa Suteja. Elisa is formerly East Ventures’ Associate. Focusing on specialty coffee, the company aimed to boost the demand for Arabica beans. “We decided to use only Arabica beans, which translate to higher income for the local farmer, with a certified organic farm and certified fair trade. We roast the bean locally to keep its freshness, brewed professionally by trained barista, and deliver it as and when the consumer wants it. We use the mix of technology, our self-built mobile app and existing built technology such as MokaPOS to track and monitor payment, Member.id for loyalty platform, and GO-FOOD, GrabFood, and TravelokaEats for distribution platform," said Robin Boe, CEO of Fore Coffee. "Our vision is that Fore Coffee will be a key player to strengthen Indonesia’s position as the top high-quality coffee producer in the world. Unlike many others, we don't envision coffee to be just another temporary drinks trend but rather, a key commodity that can drive domestic economy and can be enjoyed as a lifestyle of Indonesian people for a long time,” said Elisa Suteja, Co-founder of Fore Coffee. When it comes to strategy, Fore Coffee online to offline strategy integrating technology such as mobile application and the presence of their retail stores. Apps are created to simplify customers’ journey in getting the product or service they want. From the outlet side, Fore Coffee designed several of its outlets specifically for delivery services only. This allows customers from various places able to get their drinks faster. One Fore Coffee outlet in the Sudirman area can even serve orders for 24 hours and become the 1st coffee chain that has drive-through facilities. Fore Coffee currently has 16 outlets located in major malls across Jakarta. In mid-January, Fore Coffee launched a special Rose Latte to their menu in collaboration with Olivia Lazuardy. Established in 8th of August 2018, Fore Coffee is a passionate coffee startup aiming to brew the best specialty coffee for our customer. As our name derived from the word forest, we aim to grow fast, strong, tall and bring life to our surrounding. We want our existence to increase coffee quality for our community.